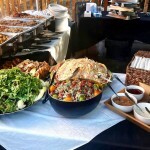 Here at Spitting Pig London we offer hog roast catering solutions for all events and occasions. We are proud to cover the nation’s capital. It doesn’t matter whether you’re looking for something to eat after a day out at Thorpe Park a hog roast in Staines, going to a party hog roast in Clapham or looking to set up a stall for a hog roast in Brixton’s famous street markets; we can help you. We offer a variety of different services for you and aim to cater for all your needs. Hog roast catering is now one of the most popular forms of catering in the UK. We feel that it is a new and fresh approach to catering and is the perfect alternative to traditional forms of party and event catering. We offer a full package to all our customers; it is not just about the food, it is about providing quality service to accompany the delicious food we cook. If you choose Spitting Pig London to cater for your party you won’t be disappointed. If, for example, you are organising your wedding and can’t decide on what food to have then look no further than us. We offer a selection of wedding menus that are ideal for you big day. We have a selection of 6 different menus for you to choose from ranging from a simple menu to our ultimate wedding package. It doesn’t matter which one you choose, the food is guaranteed to be mouth watering. When having a hog roast for your wedding one of trained hog roast chefs will freshly prepare and cook the meat for you throughout the day ready for you and your guests at dinner time. All of our menus included one of these chefs accompanied by waiters and front of house staff who will be at your wedding for the entire day catering for the needs of your guests. Depending on your choice of menu depends on how it is served. If you have a starter then it will be served to the table to all the guests and the main course, the hog roast, will be served with a variety of side dishes in a buffet style format. One thing that we pride ourselves on is the food that we offer. Our hog roasts are cooked to perfection and provide mouth watering and succulent meat that everyone will enjoy. As well as the food we feel that service is equally important. All our staff ranging from the event planners to the hog roast chefs are trained professionals and know the catering industry inside out. All of our staff are there to help you all the way from booking your wedding to the guests leaving at the end. Our aim is for you to have the perfect day and make sure that everything runs smoothly. 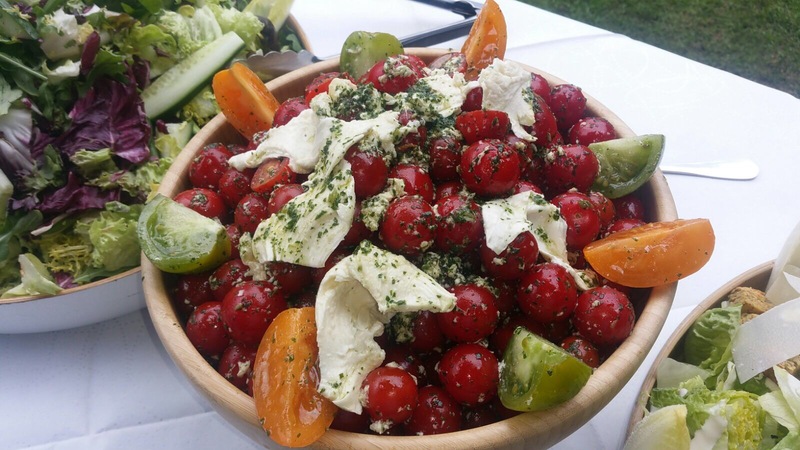 Our primary aim is to make the food at your wedding as special as the day itself. We feel that we offer the ultimate package and when trying to decide on what catering package to have for your wedding then look no further than Spitting Pig London. London is one of the most exciting and diverse cities and the worlds and we are very happy to be a part of that. One of the most popular things to do in London is visit one of Brixton’s famous street markets. These markets offer a wide selection of clothes and food from around the world and attract thousands of tourists every year. One thing we think would be perfect would be opening a hog roast stall on one of the food markets. Along with offering excellent catering solutions we also offer a hog roast machine service. It is easy for you to hire one of our machines and what better place to locate it than on the bustling streets of Brixton for everyone to enjoy. We offer machine hire for just £250 per week without the pig and £450 per week if you want us to provide you with a pig. The best thing about hiring a machine is the freedom that it gives you to be able to cook whatever you want in any location you want. For an outdoors market stall a spit roast would be ideal because of spectacular visually qualities. The sight and smell of your choice of meat slowly spinning on the spit is enough to compete with any of the well established and popular stalls already on the market. It is the perfect way to make you stand out from the crowd and be centre of attention. And it’s not just market stalls that machine hire is limited to. As we have said before there are no restrictions on the location of our machines so if you fancy having a go at being a hog roast chef in your own home then that is also possible. You don’t need to be organising a huge party for thousands of guest for one of machines to be effective. Our machines come in a variety of sizes and are very easy to assemble. We also make sure that we deliver and collect your machine for you. All you have to do is select the meat and our top of the range machines will do the rest for you. Hiring one of machines is perfect for hosting a small party when you don’t need our chef and waiter service but still want delicious hog roasts for everyone to enjoy. It is also the perfect way to wow your guest with you new found cooking skills, with a helping hand from us of course. 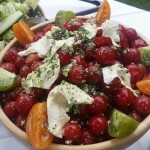 We feel that we have every aspect of the catering industry covered. The most important being the high quality food that we serve. 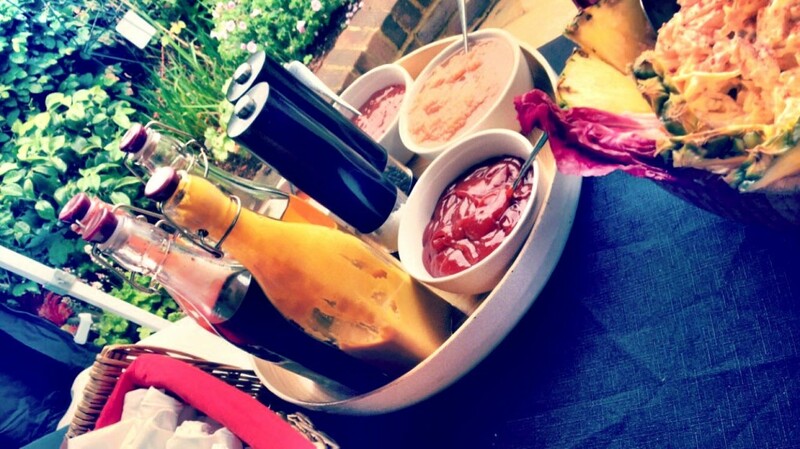 Along with this we offer an unrivalled dining experience and excellent customer service to make your day perfect. We are more than happy to provide you with catering for your event so give us a call and we will arrange the perfect package to cover all your catering needs. Are you looking to organise a friend’s birthday, maybe your company is having a corporate event for some new clients or maybe your planning the biggest day of your life? 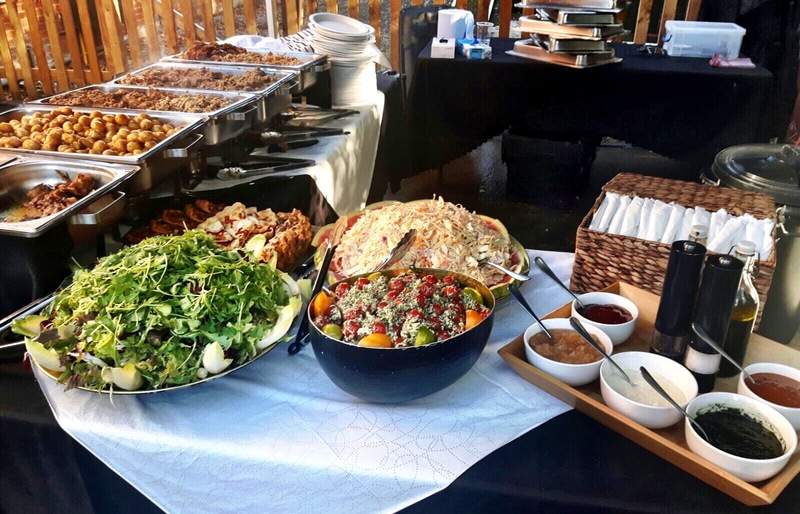 Do you want to add something different to the event and add a little bit of theatre and excitement to the catering well Look no further than hog roast London. Hog roast catering celebrates the great British menu and brings traditional pig roast cooking to the heart of the nation’s capital. Here at Spitting Pig London we use only the finest meats on our custom made machines to ensure that we will be the highlight of your event. Every aspect of the catering experience can be tailored to your needs and there is no event too big or too small that we can’t cater for. We have provided a number of sample menus that can be viewed on the links above but we love providing something different for our customers so if you have any specific requests just get in touch and our staff will be happy to create the perfect menu for you and your guests. Why not have a fully spit roasted pig cooked on site and slowly rotating creating a smell that will make your guests mouths water. Or why not try some of our other British free range meats we can provide these include, lamb, beef, chicken, turkey or anything that your require to make your event extra special. All of our hog roast catering is done using the finest and freshest ingredient and all of our menus are prepared fresh on site by fully qualified chefs that are all considered experts in the art of hog roasting. Here when pig roasting in London we like to take the worry out of organising and event and we ensue that there is always a point of contract for the catering team actually coming to your event so can reach us if you wanted to make and changes to the event or ask us any questions that may be concerning you. We have been a hog roast caterer in London now for the past 10 years and we consider ourselves as the best hog roast caterer in London, no event is too big or too small and it is our attention to detail that sets us apart from our competition.